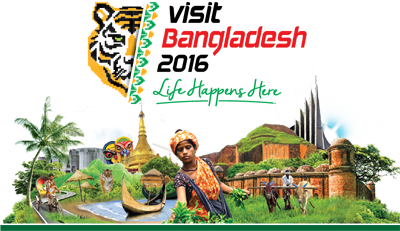 Travelers Add Tours - Sightseeing Bangladesh, BAGRA, JOYPURHAT, BOGRA, BOGRA, NATORE, RAJSHAHI, MAINAMATI, CHITTAGONG, BANDARBAN, Cox’s Bazar –St. Martin. Arrive at Zia International Airport Dhaka. TAT staff will meet our guest at the custom’s exit and assist them in boarding airport transport & Transfer to hotel. Morning-Leave Rangpur for Bogra. On way visit Somapura Vihara (World Heritage) and museum at Paharpur. The Relics of glorious part of wonder that was in Bangladesh under the Pala Dynasty during the 8th-11th century, excavation at this historic site exposed to the view that the biggest Buddhist Monastery South of Himalayas having gigantic pyramidal temple with 177 monastic cells and numerous motive stupas.Also visit Mahasthangar, Pundra Nagar-ruins of one of the oldest cities of the world which is as old as 5000 years. It is presently known as Mahasthangar have dinner over night at Bogra. Morning-Leave Bogra for Rajshahi. En- route visit at Rani Bhabani Palace at Natore. Upon arrival at Rajshahi visit Barandra Museum and transfer to hotel. Afternoon-Visit the temple city of Putia where one can visit old Hindu Shiva Temple, Terracotta Temple, after lunch drive to Dhaka at evening arrive Dhaka transfer hotel over night at Dhaka. Morning-Leave Dhaka for Chittagong. On the way, visit Mainamati (archaeological ruins of Buddhist Monastery of 7th/8th century A.D.). on the way high way restaurant have lunch, at evening- Arrive Chittagong and transfer hotel transfer hotel over night at Chittagong. Morning-Leave Chittagong for Bandarban on the way visit pottenga beach, Chittagong city check-in to Bandarban Hill side resort. Guide will lead you for hiking down the Sangu River and walk around the Bhom tribal villages near the Shaila Propat over night at Bandarban. Morning-After breakfast, you will visit one of the highest peaks of Bangladesh at Chimbuk. On way back, visit the indigenous Marma tribal village life. After lunch drive to cox’s bazar at evening transfer hotel over night at Cox’ bazar. Morning-visit fish market, Buddhist Temple and souvenir shop. Afternoon-Excursion to Himchari Beach. Then Enjoy the colorful sunset on the world’s longest beach. Free time to enjoy beach area over night at Cox’ bazar. After breakfast early in the morning around 6:30am leave Cox’s bazar for St. Martin Via Teknaf, arrive Teknaf 9:00am from Teknaf ride on Ship for St. Martin arrive st. Martin 12:30 pm on the enjoy river and sea beauty arrive st. Martin 12:30 visit st. martin island have lunch around 3:30pm return back some way to Cox’s bazr arrive Cox’s 7:30pm evening enjoy dinner . Over nights at Cox’s bazar. After breakfast leave Cox's Bazar for Dhaka, then on the way have lunch high way restaurant, arrive Dhaka check in hotel have dinner over night at Dhaka. Morning city sightseeing. Visit Sadarghat waterfront, the Ahsan Manjil (Pink Palace). After visiting the Star Mosque and Dhakeswari Temple, enjoy lunch in a Bangladeshi restaurant. Then visit New Market, the National Museum and Parliament building. This day as per flight schedule transfer airport, if time permit free for shopping. NET PRICE: 10 Nights / 11 Days budget hotel, All-inclusive prices in USD Dollar Period: 2017 - 2018. All Hotel A/C budget accommodation twin/ triple share basis. All meals Breakfast, lunch, dinner .